We are happy to welcome back Coding with Kids for onsite lessons at Holy Trinity. Register using the information attached. The Oregon National Primate Research Center’s Science Ambassadors program, now beginning its 13th year, is accepting applications from motivated 5th graders who enjoy learning about science. Through this program we hope to inspire students to continue to study science throughout high school and perhaps choose to pursue careers in science. More information about the program (and a link to the application) may be found online through OHSU here or by downloading this flier. Amy Contreras and Anna DeBlois will be at Back to School Night with information and the ability to sign up. Our school will be helping with the Oregon Food Back packaging on Saturday November 17th in the morning. Our group is limited to 50 participants, so sign up early if you and your family want a guaranteed spot. You can find sign-ups on School Speak. We have kicked off our only fundraiser of the year- the Titan Run! Fundraising starts now! Each year students are asked to collect pledges (per lap or single donation) in order to raise money for our school. On October 11th, we will celebrate with running, cheering, a DJ and a school provided lunch for all. Please check your email account for access to our 99pledges.com website. Lucky students get to throw a pie at Mrs. Sheridan! 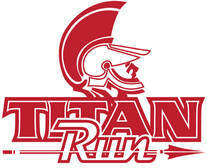 If you have any questions, please see the Titan Run website or contact Alicia Heddon at heddonhome@gmail.com. ​Picture Day is October 2nd! Picture Day ordering envelopes will be sent home this week. Please fill it out and have your student bring it on Picture Day. Holy Trinity Catholic School is always seeking the best and most effective ways to educate children for the 21st century, infusing this education with a strong and vital Catholic identity, while supporting parents in their role as the primary educators of their children. Every six years we have the opportunity for a very specific Self Study process leading to the re-accreditation of the school. During the 2018-2019 school year, the school will involve all of its shareholders – faculty, staff, parents, students, and parishioners – in this process using a specific protocol outlined by the Western Catholic Educational Association (WCEA). For more details on this process, please contact Ashley Sheridan, asheridan@htsch.org.